The St Lawrence Gap is located in the Parish of Christ Church on the South West Coast of the island it's about a 15 minute drive to Bridgetown the Capital and a half hour drive from the Barbados airport. The Gap is lined with, restaurants, bars, and clubs of all kinds so you'll be sure to find something that suits you. This short strip comes alive later in the evening as the tourists and locals alike get to the clubs ready to party, meet new people or friends and take advantage of the nightlife and entertainment. 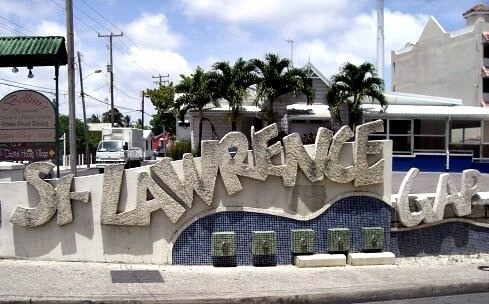 "The Gap" as it's known locally has built up a reputation as the island's most popular destination to head for to experience nightlife in Barbados. Most any night of the week is good for a pub crawl but the weekends are spectacular. The types of entertainment to be found at the different bars and clubs varies from Rock, Reggae, Calypso, Rhythm & Blues, Salsa to live music most nights of the week. The clubs bring in top local bands that play a huge variety of music. For those that want to party until the early hours of the morning this is the place to go. St Lawrence Gap draws a younger crowd, couples, singles looking for singles and some older people wanting to participate if only by watching others enjoying themselves. There are a lot of good restaurants in the Gap both upscale and informal it's a great destination to go to for an early evening meal with the family. The Gap has such a large variety of restaurants to choose from, Jamaican, Mexican, Irish, Italian, Oriental and of course Bajan. 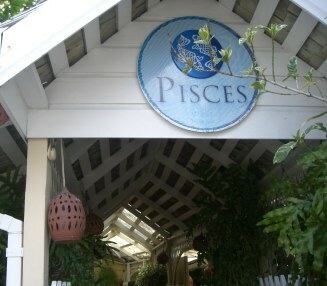 Most Gap restaurants don't need reservations but if you're planning on going to any of the restaurants overlooking the ocean such as Pisces , but it's best to make a reservation if you want to get a table overlooking the ocean. If you really enjoy pulsating music coming from many directions and going on until the early hours of the morning then you will have no problems staying at one of the hotels in the Gap. The Gap is a great place to stay for a short vacation because you don't need to rent a car everything is within easy walking distance. Because of its size ( around a mile long ) getting around and exploring night clubs, bars, restaurants and shops plus the gorgeous Barbados beaches can easily be done on foot. If you want to go to Bridgetown the local buses are the cheapest form of transportation $2.00 for a bus ticket, of course there are many taxis and mini vans offering transport also. If you want to explore the Island though you'll need to rent a car or book a taxi for touring there are several plans available. Shoppers will find a few duty free shops in the St Lawrence Gap, but you'll have to take a trip to Bridgetown to find a greater variety of duty free stores. There's an interesting little Chattel House Village ( replicas of old style Barbadian dwellings ) in the Gap that has a number of unique shops selling Barbadian souvenirs. The Gap has a beautiful stretch of fine white sand called Dover Beach it's a great spot for all water sports especially wind surfing, snorkeling and swimming it's a very popular beach. This Barbados beachfront is a good spot for the family that wants to enjoy the water with the kids it can be very shallow at low tide and is reef protected making it safe for swimming. Graeme Hall Nature Sanctuary which is not in the Gap but within walking distance has some of the islands best remaining undeveloped wetlands and mangrove swamps that attract a large number of birds.